The blow-out pump for manually cleaning drill holes. The ABG blow-out pump for cleaning drill holes works manually without needs for other heavyweight technical equipment. It’s a lightweight tool for a pocket but with high pressure against the drill powder. The safety hood at the extension reduces the risk of injury. 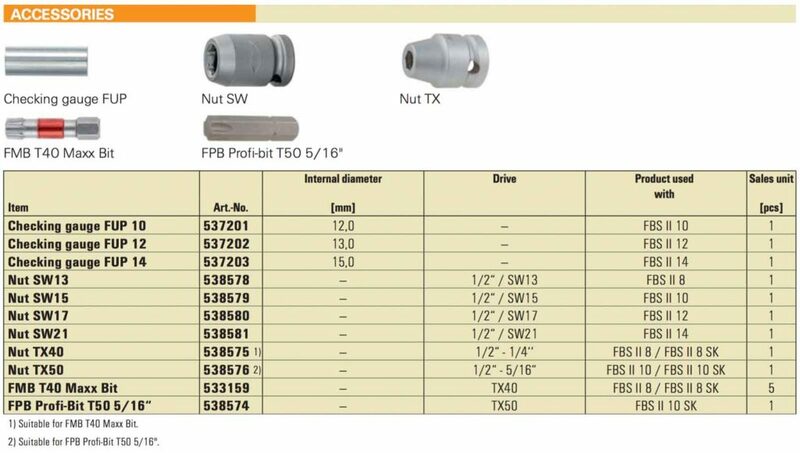 For 1/2″ – 1/4” drives, match with FBS II 8 / FBS II 8 SK. Drill Hole cleaning accessory for removing drill dust. 14 and 20 mm brush in a set. High-quality battery-powered dispenser for 2-chamber cartridges for quick progress without great effort. 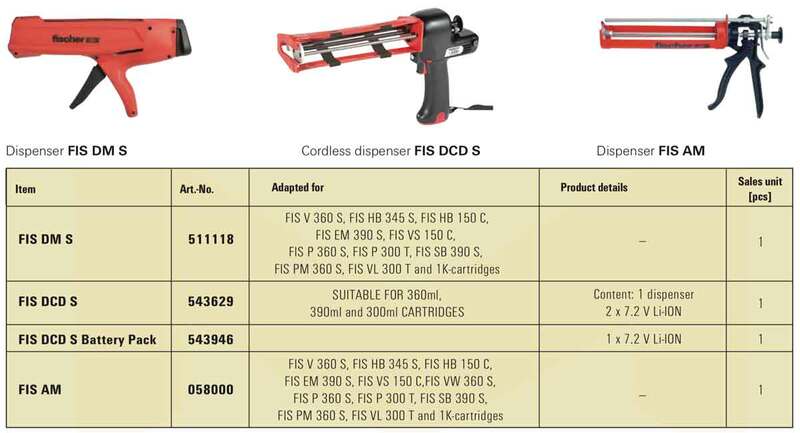 The fischer battery pack FIS DCD S is suitable for quickly dispensing fischer injection cartridges up to 390 ml without great effort. Heavy duty metal resin applicator which now accepts more fischer hybrid resin cartridges. The gun is made from high-quality plastics, making it tough and durable. High-quality dispenser for 2-chamber cartridges with compressed air technology. The FIS AP is suitable for quick, fatigue-free dispensing of injection cartridges up to 390 ml. The FIS AP with compressed air drive is especially recommended for work on rebar connections . Recommended pressure 6 bar air consumption max. 40ml/min. Highest safety through perfect expansioning of the anchor. Manual setting tool with hand impact protection for fixing Fischer Hammerset anchors EA II M10. The manual setting tool is build with ergonomic plastic to handle and hand impact protection for quick, safe fixing of Fischer Hammerset anchors EA II. 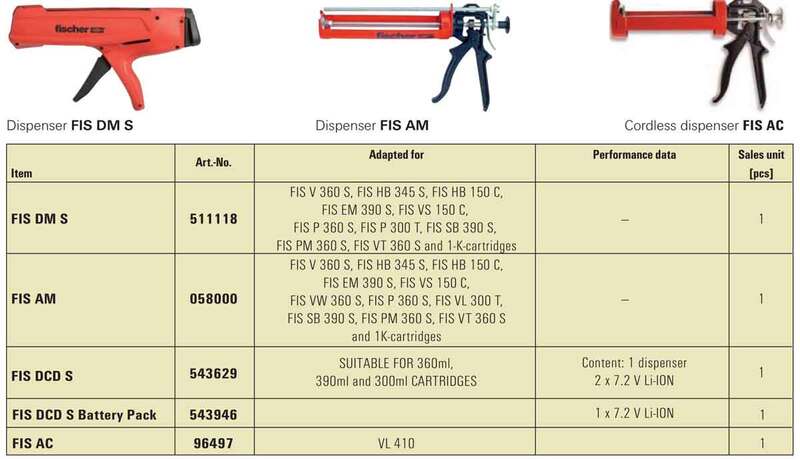 The FIS AC gun can be used for the FIS VL410C.